This contemporary two tone sectional includes comfortable scoop seating and reclining features that bring serious relaxation to your family room or finished basement. Soft pillowtop arms accentuate the dark vinyl wrapped sides of this L shaped sectional, which offers a beautiful contrast from the padded brown micro fabric that wraps the seats and seat backs. 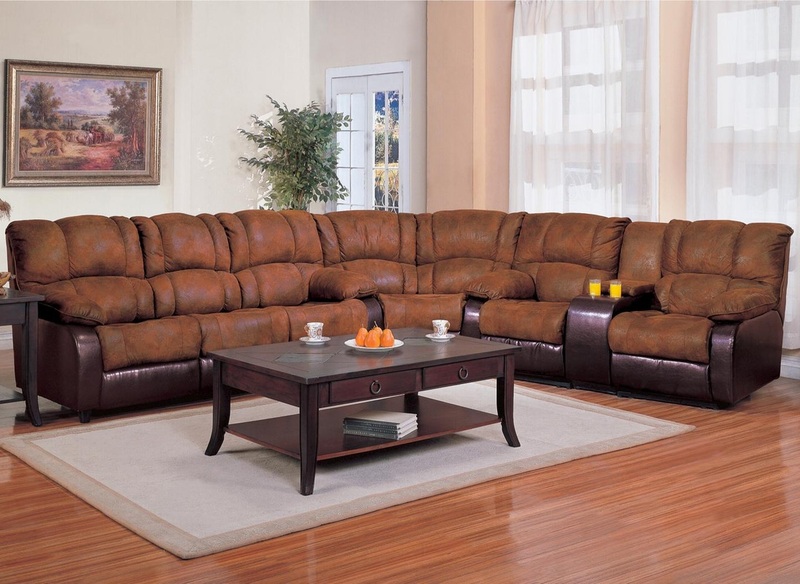 Two distinct parts - a double reclining sofa and double reclining love seat - are tied together with a cozy corner wedge. Also available in a sofa sleeper version that pulls out for additional sleeping space for family and friends.